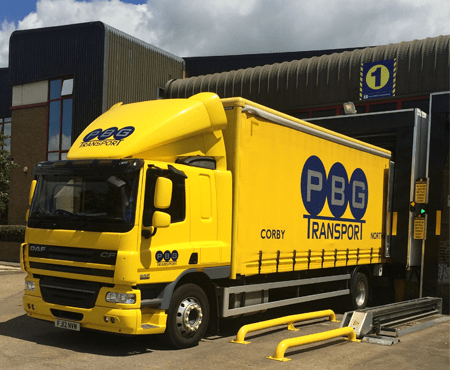 PBG Transport Limited is a General Haulage and Warehousing company based in Corby, Northamptonshire. The company operates a fleet of 3.5 tonne vans, 7.5 tonne and 18 tonne curtainside vehicles. All vehicles are fitted with tail lifts and are professionally maintained by main dealer agents. All vehicles are “real time” tracked using the latest GPS Telematics systems. We know where our vehicles are and more importantly, you know where your goods are. We can accommodate most types of most types of loads, as well as the awkward or cumbersome items that you need to transport. We have our own 10,000 sq ft warehouse so if your goods need to be stored prior to transportation, then we can handle that for you also. As well as general UK transportation, we have a partner in the Netherlands that we work very closely with and can provide a service from virtually anywhere in the UK into Holland and its neighbouring countries. All vehicles have their own dedicated, uniformed full time drivers who hold the same company values of handling and delivering your goods in a timely, safe and efficient manner. Many of our first customers from over 10 years ago remain good customers to this day. We have a 10,000 sq ft warehouse which is alarmed and is fully covered by CCTV. This is available for a wide range of storage requirements. The company prides itself on that personal touch. All movements of goods are arranged personally by the owner. © 2016 PBG Transport Limited. Website Design by CSM Web Design.